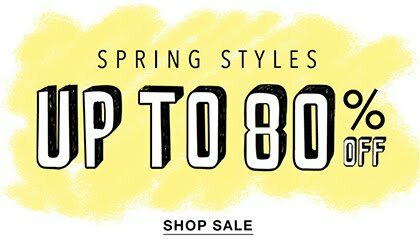 It's that time of the year again, summing up all the best products from last year. There are so many beauty and makeup bits I loved during 2018., but here I'll only mention those I've tried for the first time last year, not those that I had before in the past and started using again. Only exception is one makeup product, I will explain it all in the rest of the post. Skincare wise I've tested so many new stuff, I think even too much. What I need to learn to do is to really stick to my trusted ones and not try that many new products, but what can I do, I'm super curious. And if I don't do that I will never find out about new great stuff. First time ever I gave in and tried out a daily toner that contains glycolic acid. 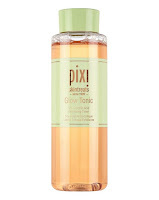 Yeap, it's the Pixi Glow tonic. I've heard so many great things about it, still I was hesitant to use glycolic acid everyday, I'm (or I was) a bit old school when it comes to this matter and thought it's only OK to use AHA acids once or twice a week. For the past eight or so months I've been using the Pixi tonic (only at night though) and so far I've really enjoyed using it. You'll think I'm crazy, but the next favourite also has AHA acids in it. It's the latest Eucerin Hyaluron filler and I'm for sure in love with this serum. It's full name is Hyaluron-Filler Night Peeling & Serum. Essentially it is this two phase product, with two separate chambers might I add, where you get an AHA emulsion that exfoliates the skin so the other part, hyaluronic acid serum will penetrate the skin more easily and hydrate it from within. We all know by now hydration is super important for the skin's overall appearance and health and last year was marked by the launch of Vichy Minéral 89 booster. The launch of the product itself was magical, in March we all wen to Slovenia where an event was organized in the Postojna cave. If you want to find out more about the product, you can read my full post on Minéral 89 here. Continuing with the skincare theme, at the end of 2017. and beginning of 2018. 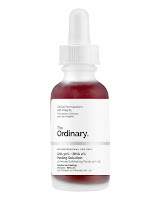 I discovered a little brand called The Ordinary. 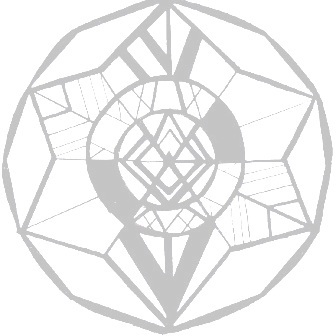 Well, not exactly discovered because I was aware of their existence, it's more like tried for the first time and they are for sure not a small company. 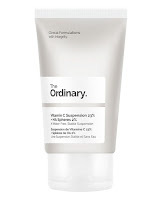 The Ordinary is a line of products that is a part of a Deciem brand. So far I've tried couple of the products from the line and found three favourites. AHA 30% + BHA 2% Peeling solution, Hyaluronic acid 2% + B2 and Vitamin C Suspension 23% + HA spheres. First one is essentially the only peeling I've been using for months. It's a chemical peeling solution, so you don't have to worry about abrasive particles damaging your skin. Just be careful, it can be a bit too strong for sensitive skin, but if your skin is not sensitive you'll be just fine. 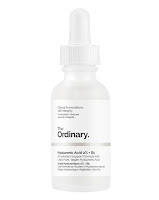 Second one is among the hyaluronic acid serums I've been loving lately, you can read more about it here. And the third product is my attempt at trying something with the higher percentage of vitamin C and it's really a great product for brightening up your skin and making it look glowy and fresh. Last skincare favourite is a gold peel off mask. I love peel off masks and feel like recently they've been neglected in the middle of sheet masks craze. This one is Avon Anew Ultimate gold peel-off mask. I got it in December and I almost used it all up so far. It is supposed to make skin smoother and more brighter with the help of B3 and botanical extracts. In 2018. I also tried to find some more natural products so I tried the Soapwalla Deodorant cream. Back when not everybody made natural deodorants, this one use to be the best one and I think it still is. It's aluminum and other bad ingredients free and you wouldn't even notice it's a natural deodorant, that's how good it is. Next up: makeup favourites. 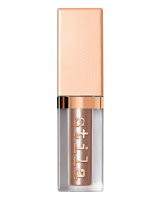 My eyeshadow favourite for last year is from Stila and I already did a post on it. It's a shade called Grace from their Shimmer & Glow Liquid Eye Shadow line. Like I mentioned before, I did include one product that I didn't technically try for the first time in 2018. It's Dr. Hauschka liquid eyeliner in black. The reason I added it is that it goes so well with the Dr. Hauschka mascara, which is another favourite. Before I used their Definition mascara, but this one is Dr. Hauschka Volume mascara. I think I like the volume one a bit more and together they make a perfect combo for sensitive eyes and contact lenses wearers. Concealer wise I did a bit of experimenting last year and loved the NAKED Skin Concealer. It's more high coverage than blendable so you do need only a little to cover everything up, and make sure to use it over moisturizer that your skin soaks up well. It's a known fact I adore lipsticks, I can't really remember whether I liked some other ones during the year, still in October I tried Catrice cosmetics lipsticks, all of them were from their Ultimate Colour and Ultimate Matt lines. Unfortunately I can't find my favourite from the Ultimate Matt line, I've somehow managed to lose it, hopefully it will show up. The two colours I've been loving from the Ultimate Colour line are Red my lips and What does the fuchsia say. First one is your classic red, and the other one a red with a beautiful hot pink undertone. Both colours are super creamy and long lasting. And that's it for last year, hopefully this year will bring some new exciting products as well!